$1,400 below Kelley Blue Book! ONLY 42,816 Miles! Alloy Wheels, SIRIUS SATELLITE RADIO, iPod/MP3 Input, 4x4,3.8L OHV 12-VALVE SMPI V6 ENGINE, 24S CUSTOMER PREFERRED ORDER SELECTIO... (6) INFINITY SPEAKERS W/SUBWOOFER SEE MORE!======THIS JEEP WRANGLER UNLIMITED IS FULLY EQUIPPED: 24S CUSTOMER PREFERRED ORDER SELECTION PKG 3.8L V6 engine, 4-speed auto trans, 17" x 7.5" aluminum wheels, P255/75R17 on/off-road OWL tires, deep-tint sunscreen windows, front & rear floor mats, leather-wrapped steering wheel, pwr door locks, pwr windows w/front one-touch down, remote keyless entry, security alarm, speed control, outside temp gauge/compass, (2) front & (1) rear tow hooks, fog lamps, (6) INFINITY SPEAKERS W/SUBWOOFER, TUBULAR SIDE STEPS, SIRIUS SATELLITE RADIO, 3.8L OHV 12-VALVE SMPI V6 ENGINE (STD) ======JEEP WRANGLER UNLIMITED: UNMATCHED DEPENDABILITY: AutoCheck One Owner ======THE RIGHT TIME TO BUY THIS WRANGLER UNLIMITED: Love your vehicle and its price. 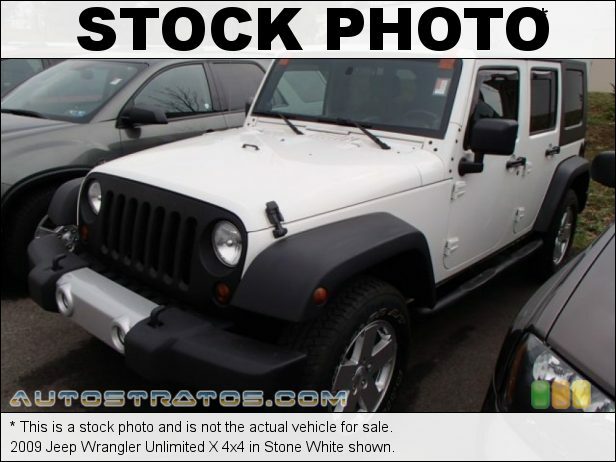 This Wrangler Unlimited is priced $1,400 below Kelley Blue Book. ======KEY FEATURES ON THIS UNLIMITED INCLUDE: 4x4, iPod/MP3 Input, Chrome Wheels MP3 Player, Child Safety Locks, Rollover Protection System, Electronic Stability Control, Bucket Seats. ======LIVE WIDE-OPEN: JEEP WRANGLER UNLIMITED: "The perennial symbol for off-road vehicles. Rugged, reliable and capable on city streets and off-road. Impressive off-road ability. Plenty of head room. Rugged good looks. Versatile cargo area." -- CarsDirect.com. ======BUY FROM AN AWARD WINNING DEALER: North Star is the #1 Volume Dealer in Pittsburgh! As a GM "Mark of Excellence Award" winner for Outstanding Sales, Customer Satisfaction and Service in Pittsburgh for over ten years, our pricing strategy is simple, you get our best prices on all our vehicles, not just the stock numbers in an Ad, and we will not be beat! Pricing analysis performed on 4/10/2019. Horsepower calculations based on trim engine configuration. Please confirm the accuracy of the included equipment by calling us prior to purchase.